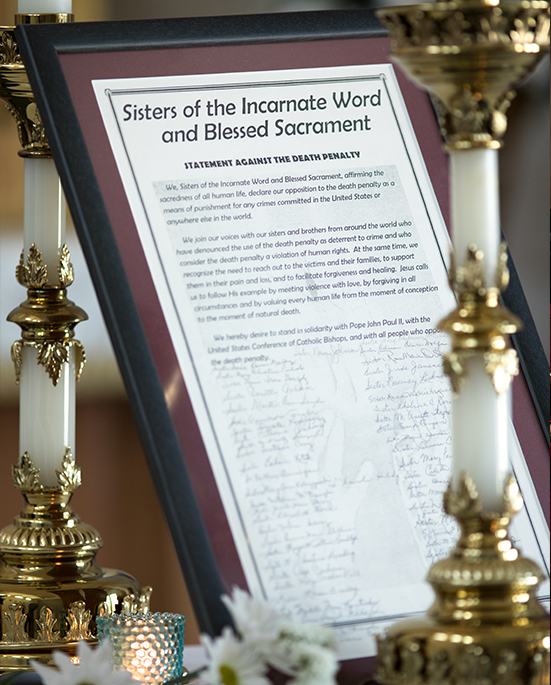 As Sisters of the Incarnate Word and Blessed Sacrament, we reverence human life in all aspects, and are committed to the social mandate of the Gospel. We respect and trust each Sister in her personal choice in the manner in which she responds to this Gospel mandate. We support one another in our efforts. To act with justice, to love tenderly, and to walk humbly with our God. The Congregation participates in the Socially Responsible Investment Corporation (SRIC) headquartered in San Antonio, Texas. The organization maintains an investment portfolio with stock in various national and international companies. In this way smaller organizations with less significant financial influence join to work toward changing company policies that affect environment, employee health and safety and other justice issues. The Congregation has supported SRIC for more than 25 years. In addition, we have been investors in LiftFund since its birth as Accion Texas on July 2, 2001, a corporation providing microloans and counseling for beginning businesses. We, Sisters of the Incarnate Word and Blessed Sacrament, affirming the sacredness of all Human life, declare our opposition to the death penalty as a means of punishment for any crimes committed in the United States or anywhere in the world. We join our voices with our sisters and brothers from around the world who have denounced the use of the death penalty as deterrent to crime and who consider the death penalty a violation of human rights. At the same time, we recognize the need to reach out to the victims and their families, to support them in their pain and loss, and to facilitate forgiveness and healing. Jesus calls us to follow His example by meeting violence with love, by forgiving in all circumstances and by valuing every human life from the moment of conception to the moment of natural death. We hereby desire to stand in solidarity with Pope John Paul II, with the United States Conference of Catholic Bishops, and with all people who oppose the death penalty.